In the movie Matrix Reloaded, Neo, played by Keannu Reeves, meets again the Oracle, played by Gloria Foster (see the clip). Neo was doubtful if he could still trust the Oracle, who knows every choice Neo has made, including if he is about to accept her candy. Neo asks the Oracle on how he can choose if she already knows it. But the she says that Neo has not come to make a choice because he already made it. He only needs to understand his choice. This is the most difficult thing to do: to realize that the choice has been made and to understand why this choice. In our ordinary lives, this thought-provoking insight is something very serious. How can we make a choice if we haven’t yet made one? Understanding Choice has 3 prerequisites. When we understand that we misunderstand choice, we have made the first step. We think that a choice is an either/or scenario. Pervasively enough, this misunderstanding has destroyed us in most areas of our lives. Choosing between two things leaves us helpless and drained, thinking that life is too unfair for us to have such kind of choice. This dilemma renders us disempowered. Because we choose between two things, we are left with saying that we don’t have a choice. We are unable to choose, leaving us with NO choice left so we end up choosing what we don’t want. We could easily assume that there is no room for us to choose, because choices are seemed predestined. Such a way of seeing choice is a limiting one. We come face to face with the irony of our power to choose, that we can choose but we are powerless to choose. But our power of Choice is beyond external choices, which always occur between two important things. When we get confused, distracted, and angered on what to choose, and later we feel guilty and remorseful because of our wrong choices, we are not really consciously in touch with our internal choice. The internal choice does not make calculations of which is which. It is about an inner certainty that for every choices outside there is a deep inner choice that has been made. 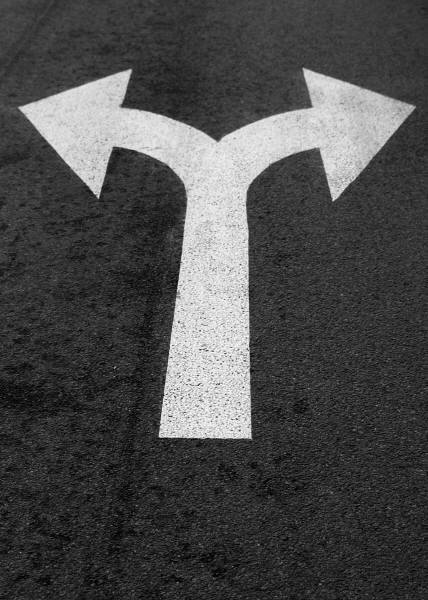 The external choice is to choose which way to go as we come across with a fork in the road ahead. The internal choice is to realize that we chose and started a journey that has lead us to this road. Now, our mission is not to choose between two things, nor to choose among many things, but to pay attention to our Choice to Love and be Loved. Life is a cycle of two great experiences we label as good and bad, easy and difficult, in and out, up and down. But we do not choose between the two. The irony is that when we choose one, we choose the other. Even not to choose is to choose, as some teachers often say. Between these dichotomies, we can see that we have chosen both. A bird cannot fly with only one wing. Any human being alive won’t prioritize one arm or eye or foot over the other. Such symmetry of two things are not subjected to a rift of choosing. By the presence of two important things is a already a choice. But our world presents a wide range of things wherein we stumble upon the infinite madness of many choices calling us to rummage for the right choice. Countless options makes every choice difficult. I remember the story of my friend Bebang who lost one of her earrings. Then one day, on her way to her office, she was greeted by a huge stall of hundreds of earrings with different designs and colors just outside the train station. As she searched for the perfect fit, she ended up overwhelmed and unable to buy a single pair. It was swift insight for her that life becomes difficult to bear when we cannot choose. 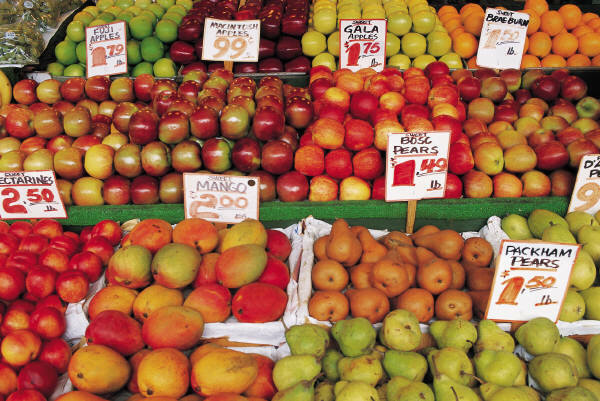 With many options out there, whether in a supermarket or online, we are bombarded by many things that tells us that we have the power to choose. However, those things that we think we can choose disarm us of our true Choice. Choice is not about choosing among the many. It teaches us to choose internally, within our inner awareness. More than choosing outside, true Choice lies in our experience inside. Do I choose to experience Love, peace and joy as I choose or not choose a particular choice? If our internal choice governs our external choices, then when we choose a trivial thing over many others, we regain our true power of Choice. Eventually, we can glimpse the mystery of Choice: that there is nothing to choose. Paradoxically, this is the highest choice. It bridges us to our ultimate Choice, our fulfilling experience of Love. Love does not choose one over the other, or one out of the rest. It is how we exercise our infinite power to choose. There is first YOU before all these options and priorities. By being aware of our existence before many choices is a Choice by itself. Now, our mission is not to choose between two things, nor to choose among many things, but to pay attention to our Choice to Love and be Loved. From this very Choice, we will understand that we have already made a choice. From there we can make different choices and each of them becomes a meaningful one. If there are no right or wrong choices… then what is left is just the acceptance that these are the experiences that we needed to bear to fulfill our purpose. Yes…and that acceptance is the very essence of Love.